When you need to collect vast amounts of data quickly and accurately, turn to the iNSIGHT 150 scanner–a high performance scanner with speeds up to 250 pages per minute. 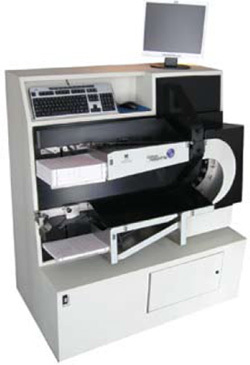 The iNSIGHT 150 interprets optical mark read (OMR), hand- and machine-printed characters, bar code, and mark sense. With the iNSIGHT 150, you get the best performance for the price from a trusted source–we've been manufacturing industry-leading scanning systems for more than 50 years.